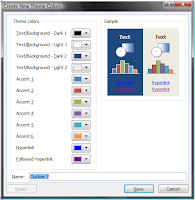 'All About Presentations' by Jazz Factory: How to change colour of Hyperlink? How to change colour of Hyperlink? This post germinated out of a question asked by an anonymous reader a few days back. Thank you for the question Anonymous. Once we create a hyperlink, the colour of the font changes to blue (with an underline). This tells the viewer that it is a hyperlink and he needs to click it. But this hyperlink creates a lot of problems. Have a look at the slide above. If you have shapes or smartart on which you write text and create a hyperlink, your contrast can go for a toss. Look at the font on the green or the blue shape. Once you click on the link, the colour changes and remains that way after that. 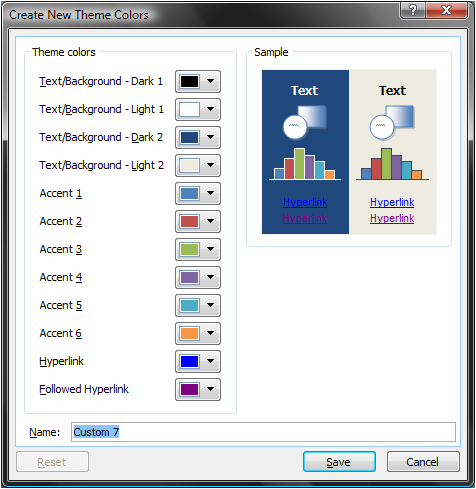 Go to Format -> Slide Design -> Colour Schemes -> Edit Colour Schemes -> Custom tab -> Under Scheme Colours -> Accent & Hyperlink -> Change colour. Accent & Followed Hyperlink -> Change colour. 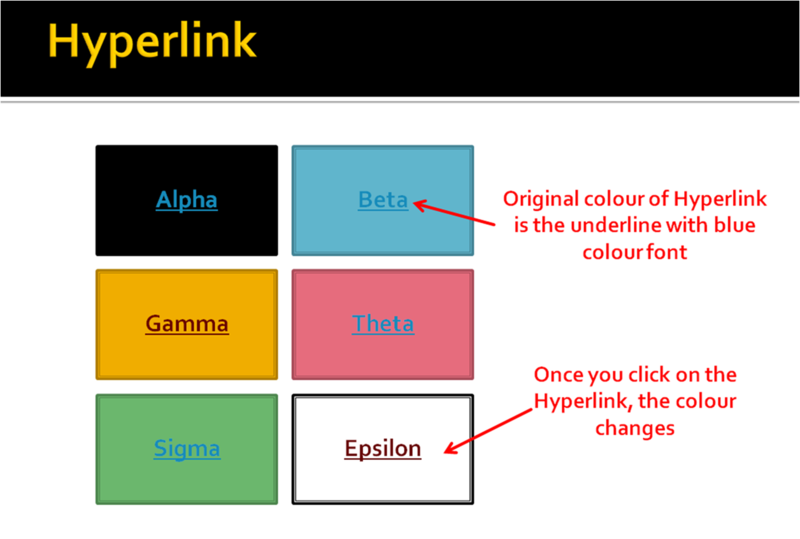 What it does is that it changes the hyperlink colour and followed hyperlink colour to a new colour of your choice.